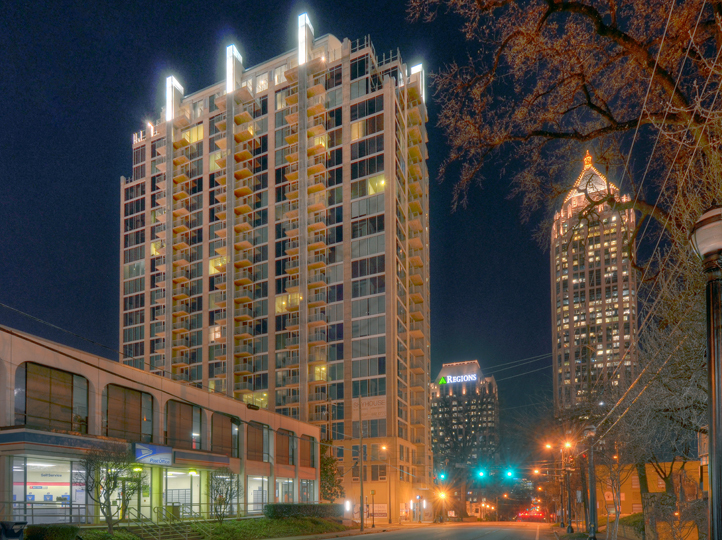 Skyhouse Midtown is urban living at its finest. The twenty-three floor apartment tower on the Atlanta skyline features 320 live-in units boasting the finest of finishes including floor-to-ceiling windows, hardwood floors, and ceramic tile throughout. Baston-Cook Construction, the general contractor on the job, highly regards the Lean Construction methodology. 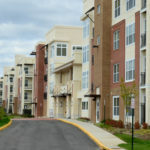 For this job, this meant a fast track construction schedule that was completed start to finish in less than 13 months. American Direct’s project managers worked closely with the schedulers at Baston-Cook and were in constant communication during the delivery process. 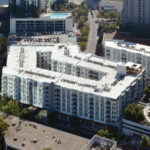 Batson-Cook required that openings and hardware delivery be phased and shipped by floor — 23 truckloads for 23 floors. This phasing delivery schedule ran like clockwork and contributed to the successful completion of the overall project as product was delivered on a just-in-time basis.